Thanks so much for your comment. Incredible that it helped you stop smoking. Stay happy! 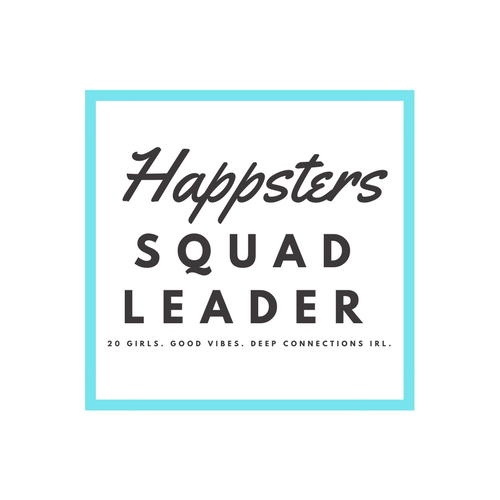 Hello Happster! You instantly inspired me. Read your great article, went straight to the kitchen for a bananna and now have a happy face. I think I’ll start a new grocery list by nutritional content. Can that be done? Hmmm. There should be an app for that! Maybe there is? Much gratitude. Durians are the King of All Fruit and definitely a mood booster. In fact, they make you so high it’s not a good idea to eat them at night. Best as a morning or afternoon treat. They have more vitamins than any other fruit. And absolutely delicious. I love love love avocado! Great addition! Diet has been an important part of my life since I was an early teenager. At first I began the healthy route with weight watchers crackers and small portion sizes. When I went to college for fashion, it was nutrition and biology which grabbed my attention most of all. Now on this journey with holistic psychiatry, Dr. Gurevich has educated me on how our mood and stability are inextricably linked to our nutrient intake. I am inspired by this article, “Top Foods that Make you Happy.” After reading it, I went straight to the kitchen for a banana which contains vitamin B an anti-stress vitamin. I think that while the supplements are a good tool for now, in the long term finding the most important mood lifters in food will be the best way to maintaining my health. For now, I can begin to practice shopping and eating with this new knowledge. Thank you, The Happsters! Very useful information. Thanks for this post. Some foods are just fun to eat. Like green grapes. I like how they burst when you bite into them, and their tart sweetness. Little things can be so pleasurable. This post was very interesting! I am glad to see that I already eat many of these foods 🙂 I find that chocolate always leads to a feel good feeling, as does eating avocados (at least I am happy when I am eating them). Thank you for checking out my blog and I can’t wait to read more about your happiness posts. One of my favorite blogs is Gretchen Rubin’s blog, The Happiness Project. I like to slice bananas and freeze them for a sweet mood boosting treat. Now I’m going to try them chocolate dipped & topped with chopped almonds! I’m feeling good just thinking about it. Grateful for this good info. Thanks! Thank you for following my blog! I really like this post on “happy foods”, I think you’ve inspired me into making a new dish with these foods in the future! Reblogged this on Vintage Dramachine. Love that chocolate is a happy food! So glad you shared. Our first meet up will be in San Diego! Where are you from? I’m copying these foods to my grocery list on the iPhone right now! Thank you for this post, nice list and great resources! Your blog and initiative inspires me so much! Thank you! Thank you! 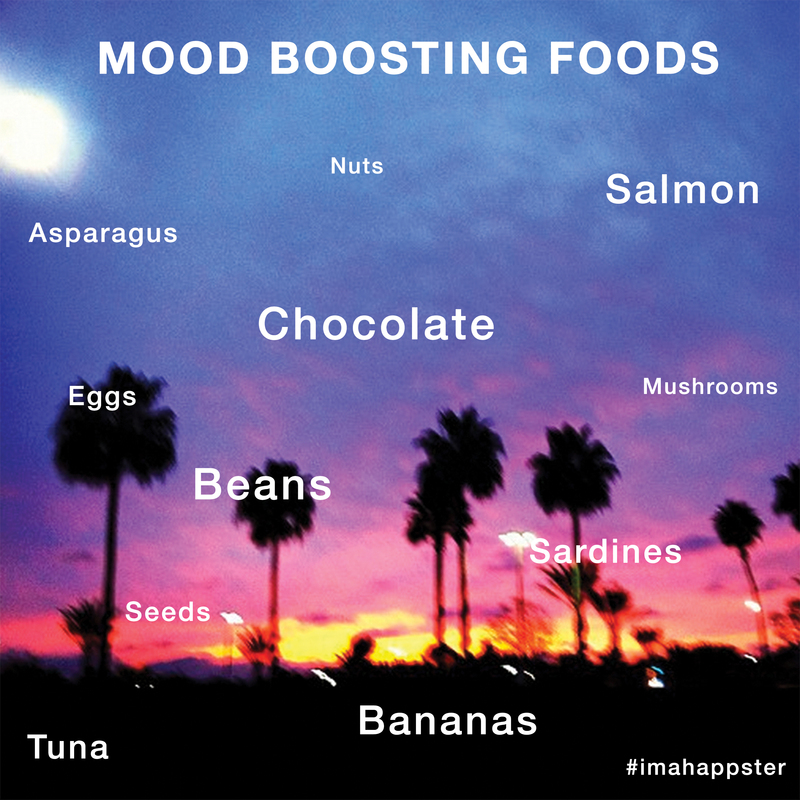 I never thought about how foods can help boost happiness. I learned something by reading this.